This Companion Commercial Health Insurance Review looks at Columbia, South Carolina-domiciled the Companion Property & Casualty Group’s Preferred Health Systems, Inc. health insurance subsidiary. Blue Cross and Blue Shield is the ultimate parent of Companion Property & Casualty Group, Companion Commercial Health and the Companion Global Healthcare Division, established in 2007. Parent Blue Cross and Blue Shield of South Carolina services approximately one million members in South Carolina. Health maintenance organization (HMO) plans support approximately 200,000 people. Individual clients purchasing self-pay health insurance plans may compare Personal Blue coverage, private fee-for-service arrangements, Medicare supplement, and Medicare Advantage PPO plans. While you are thinking about the subject of health insurance and health insurance rates, take a minute to get free health insurance quotes! Continue to read about Companion Commercial Insurance to determine the company’s suitability to meet your personal or commercial insurance needs. Parent Blue Cross and Blue Shield of South Carolina doesn’t market and distribute commercial health insurance products through the Companion Property & Casualty Group in 2011. The company manages fewer than 200,000 health insurance policies under the Preferred Health Systems moniker. Blue Cross and Blue Shield of South Carolina wants to drive greater brand attention to the BCBS franchise. Blue Cross and Blue Shield of South Carolina maintain a strong commercial health insurance presence, and manage a separate government health plan program. Outside of South Carolina: 800-845-2724. The Companion Property & Casualty Group, founded in 1984, offers commercial property & casualty coverage and claims administration services. 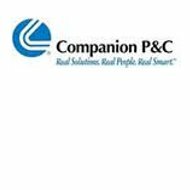 Companion Life, a subsidiary of the group, sells commercial life insurance to groups and disability policies to a commercial client base. The Global Healthcare division helps health plan members plan health care services, appointments, and itineraries for lower-cost services outside of the United States. Some health insurance writers refer to these patients as “medical tourists.” Many are uninsured or under-insured in the United States and seek services outside of the country for this reason. The company sells claims management, employee assistance, and actuarial assessments to other companies. Approximately 1,733 people work for the Companion Property & Casualty Group owned by Blue Cross and Blue Shield of South Carolina. Blue Cross and Blue Shield of South Carolina began as the South Carolina Hospital Service Plan in 1946. Blue Shield merged with the organization in 1949. In 1971, the company became Blue Cross and Blue Shield of South Carolina. Blue Cross and Blue Shield of South Carolina continues to increase its commercial and government client base. The organization (via the Palmetto GBA unit) also administers TRI-CARE health insurance contracts for military personnel and their families. The Palmetto GBA arm also provides specialty management of Medicare benefit plans. Blue Cross and Blue Shield of South Carolina operates as a non-profit organization. BCBS of South Carolina employs approximately 2,500 people at its headquarters office. According to the company website, the organization uses a network of independent insurance agents and brokers. After an agency or broker is admitted to sell the organization’s products and services, he has permission to use the company’s “Once and Done” portal. Agents may view clients’ policy and claims status, access and print insurance forms, and review underwriting information. Agents may also view compensation incentive information through the portal. You will not know if you are paying too much for health insurance rates until you request free health insurance quotes — enter your zip code now to get started! Paid the monthly premiums. Also, paid ALL of my medical expenses. I believe the plan paid $50 two or three times. I paid full bill for medical eye exam, x-ray, annual gyn visit, PCP expenses. Basically, got nothing in return for the premiums I paid. Be careful, they will tell you covers all Beech Street and Multiplan providers…that’s the “out”…if you see a Beech Street provider, they will not pay and claim “not in the network” !!!!! Was sold one thing on the phone with the broker, but delivered something entirely different on the actual insurance package. Th differences were so great, that the only way to describe it is an outright lie. For example, was quoted on prescriptions a flat rate for generic and as expected a slight upcharge for the name brand. Reality was, no prescription coverage at all, but some card for Agile Discount Rx: Xarelto prior from change was about 30 dollars, with their plan over 400 dollars. Quoted flat rate for doctors visits, with 50 dollars for specialist upon referral. Reality, only covered for five doctor visits per year. Told me I had Dental and Vision, even going into specifics of the coverage. Reality, no dental no vision, but Discount companies available, for the extra fee of course. Just flat out lied to me, and when I tried to contact the ‘salesman’, was told I had to go through customer service which big surprise, went nowhere. Find someone else to do your health insurance business with, because they just flat out lied to me.